VF Corporation is an $11 billion apparel and footwear powerhouse whose portfolio of brands includes The North Face, Lee, Nautica, Wrangler, and many more. These brands’ diverse products reach consumers wherever they choose to shop, be it online, in stores, or through mobile devices. 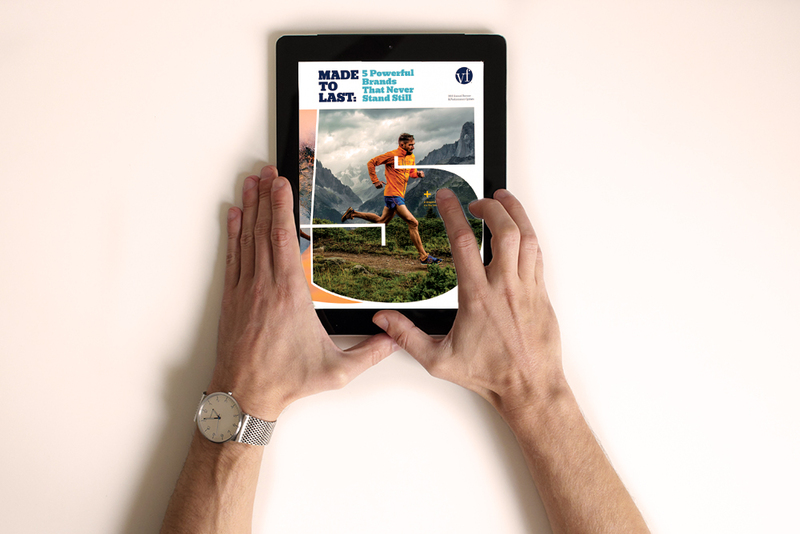 VF Corporation used the mag+ platform to create VF’s 2012 Annual Report with the help of an app inventor creative agency – And Partners. The creative use of design and interactive features makes this one of the most unusual annual reports you will ever come across. All major brands are highlighted in the app, showcasing products through image slideshows, pop-up interactives, and videos that highlight brand athletes, such as Xavier de Le Rue, the famous North Face snowboarder. This app is packed with engaging content sure to attract users. The app walks users through financial highlights, which include different charts and graphs that incorporate the pinch-and-zoom feature to provide a closer look at the numbers. Finally, the app goes through the annual statement of income and stock information and introduces the operating committee and board of directors, allowing investors to actually see the team. Check out the highlights video below to see the VF Corporation Annual Report in action. What a creative way to use mag+’s tools!